And the Pope apologises to a “heretic” church… 800 years later. Now, it seems another Sharia court has sentenced those accused of “blasphemy” to death. Details are sketchy at this time, thanks to a closed trial with few public details as to the exact nature of the charges available, but it has been reported in the last day that 9 persons from the same sect in Kano state, northern Nigeria, have been sentenced to death for “blasphemy” by a Sharia court, including the Sufi cleric Abdul-Inyas, another man called Hajiya Mairo and seven others whose names have not been disclosed. The trial was done in secret, and details of its proceedings are yet to be made public. Even the name of the judge who conducted the trial is being kept secret. The court initially said two people were convicted but a court official, who simply gave his name as Nasir (he declined to provide his full name) later said nine people were sentenced. He declined to provide the names of the seven others. The offence, committed in early June, triggered protest in Kano. The demonstration was however promptly quelled by law enforcement agents. The court where the trial began was burnt down prompting the authorities to assign the case to another court. A statement by the State Sharia Court of Appeal, signed by a man named Nasiru, said the nine persons were found guilty under section 110 and section 382b of the Sharia Penal Court law year 2000. “They are hereby sentenced to death,” the statement read. The statement acknowledged that some Muslim faithful in Kano threatened violence if the accused were set free. 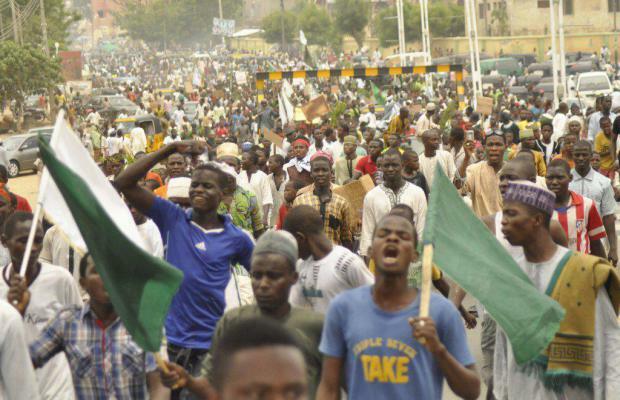 … Already, news of the judgment has sparked jubilation by a section of Kano residents. The PCC says such a joint team should include civilian and military members, judges and officials, who will assess the veracity of of the allegations. “Groups of Islamic extremists in Pakistan are using blasphemy laws as a weapon against religious minorities in Pakistan,” Nazir Bhatti, secretary CPC in a note to Vatican news agency Fides. The fanatics have damaged the image of Pakistan at an international level, as a country that violates religious freedom and human rights because the government has failed to stop the abuse of the blasphemy law, he said. It’s clear that at least reviewing cases and potentially freeing some is better than no progress at all, and that it would be discriminatory to do anything other than including in such a project convicts from all religion or belief backgrounds. However, if as it appears the process off review is set to involve huge numbers of groups with conflicting interests, then political and ideological wrangling with little progress could easily be the result. Wouldn’t real, deep reforms and unbiased judicial oversight be preferable to the kind of death-by-committee that we look set for? Meanwhile, the President of the Pakistani Bishops’ Conference, Archbishop Joseph Coutts of Karachi, voiced a view probably shared by many in the country and around the world, saying this week that the Pakistan Government might be willing to abolish the draconian blasphemy law — if not for the fact that it “fears the reaction of extremists”. Archbishop Coutts welcomed recently proposed modifications to the law which will require psychological testing of people accused of blasphemy, in a move which recognises the need for safeguards to prevent abuse of the law. Coutts said Christians had long been protesting against the legislation. “The point that has finally got across is that it’s not just about the abolition of the law but the way the law is framed. We need safeguards to prevent the misuse of this law, which is what has been happening all along,” he explained. 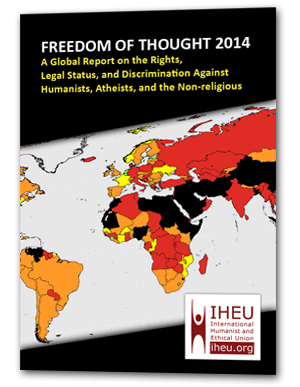 The blasphemy law is often used to target members of minorities or to settle personal scores. Many of the accused have been considered “mentally unsound”. Nobody has been executed under the law but dozens have been lynched by mobs taking justice into their own hands, or remain imprisoned for years. Many of those jailed following accusations of blasphemy are Muslims. 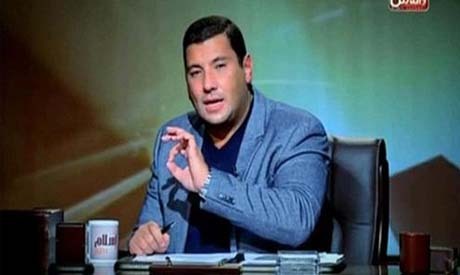 In a case we’ve covered previously, when he was given a five-year sentence in May (he was released on bail), Egyptian TV presenter Islam El-Beheiry was acquitted Wednesday by a Giza misdemeanors court. In April, Egypt’s highest Sunni authority of Al-Azhar also filed a complaint to Egypt’s General Authority for Investment and Free Zones requesting it to stop airing El-Beheiry’s show. Al-Azhar described the presenter as leading a “fierce” campaign against the foundations of Islam and Islamic heritage. El-Beheiry’s show tackled controversial issues such as punishments for apostasy, early marriage, and different interpretations of the Hadith, the sayings and teachings of Islam’s Prophet Mohamed. Pope apologizes for “heresy” accusation against Waldensians… eight centuries later. It is possible to mend the sectarian rifts caused by accusations of sacrilege; let’s just hope it doesn’t always take the best part of a millennium. This week the Pope apologised for the Vatican’s prior accusations of “heresy” against the Waldensian church, which was founded in the twelfth century by Peter Waldo in northern Itlay. … The Waldensians were formally declared to be heretics by Pope Lucius III in 1184, and again by Pope Innocent III in 1215. In 1211, more than 80 Waldensians were burned as heretics in Strasbourg, marking the start of centuries of persecution.